Am I Being Throttled by the ISPs? You are here:Home-Security-Am I Being Throttled by the ISPs? Throttling can be defined as slow Internet speed. This purpose is to slow down the Internet user’s data transmission. Most of the time you might think that the slow speed might be a cause of equipment issue but mostly it is not the reason. Despite the fact that telecom companies have to inform you when you are being throttled, you never get notified. The built-up pressure irritates the Internet users as they remain uncertain from the reason behind the slower speed. With the net neutrality rule enforcement, one cannot even ask the ISPs, ’Am I being throttled?’. Because the ISPs can throttle now without any legal restriction. Why Am I Facing Slow Internet Speed? Just the way you get stuck up in traffic making your way ahead slowly. The same way digital information gets stuck in your ISP’s network. Thus, leading to a slow speed of the Internet. In a highly populated area, the peak hours of using the Internet might result in heavy data being relayed. Thereby, congesting the network’s bandwidth and slowing down the speed. If the speed gets slowed before it even reaches your home, then call customer service and ask them to boost the area’s Internet speed. However, if the speed gets slow on your home network, then you might need more speed for your browsing activities. This sometimes happens to the modems and routers when they get more data than their limit. As a result, your network will slow down. A new router with good data handling capability might be the best option then. However, you may also reset your router and get back your network speed. Throttling is more common on mobile and wireless services than with cable, fiber, or DSL. You need to determine whether the slowing is because of the ISP’s network or is it an issue of your home network. With the repeal of Net Neutrality, ISPs are at liberty to throttle your connection. Sometimes, your ISP may slow down your Internet speed to provide more bandwidth to another user. Some Internet users may also keep a data cap on their Internet service. This is done to avoid running out of the bandwidth limit too soon. An Internet-limit tool namely Netlimiter can be used for keeping tabs on your Internet usage. Why Are ISPs Throttling My Internet? Some ISPs specify a data limit for their users. When users reach that limit, their Internet starts slowing down even if the traffic is low. Therefore, when you think that you have exhausted your allotted bandwidth limit you should better check your browsed and downloaded content. If it has crossed your respective limit then make sure to clear your dues to prevent further speed lags. When you are streaming on Netflix or when you are engaged in high-bandwidth activities, your ISPs tend to alter your Internet speed. Although this wasn’t a part of any clause in the repeal in Net Neutrality, still such incidents have been reported as well. An ISP persuades content providers to pay more for accessing the connection where the regular traffic comes from. A common reason for data throttling is the excessive usage on a data capped plan. However, ISPs are obliged to inform their consumers when they are throttling their connections. Apart from the obligation to notify the consumer, they now have much lesser limits to prioritize content and also to charging consumers for priority connections. How to Test If I Am Being Throttled by the ISPs? The first and foremost thing you should do is run a speed test. 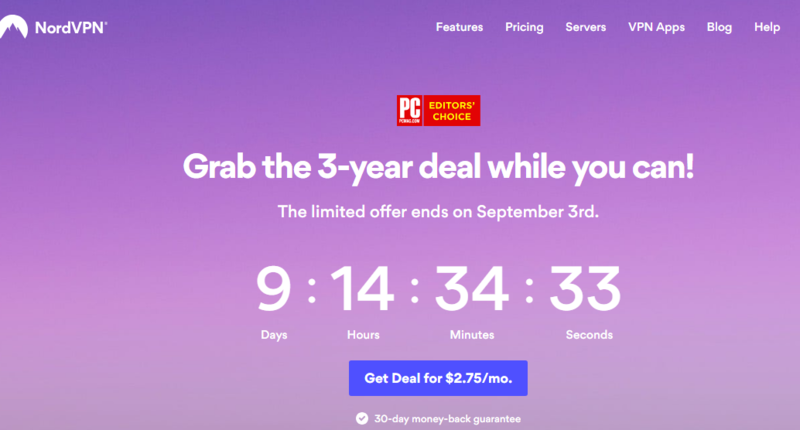 This will make sure that you are getting the Internet speed which you have paid for. 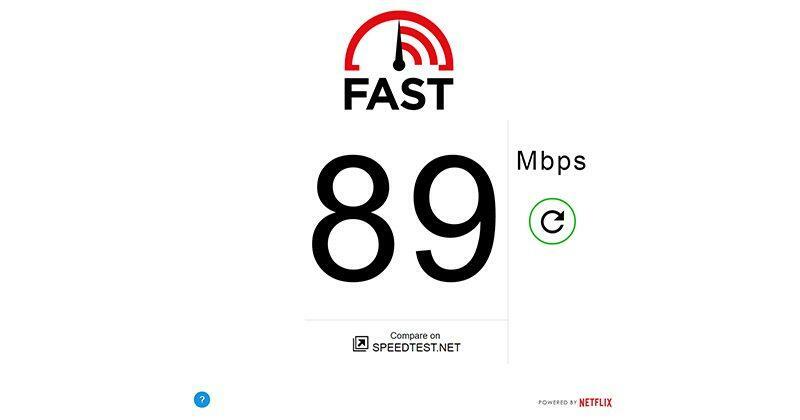 If you are streaming Netflix on your laptop or any other device, then run a speed test on that respective device. By doing so, you will get an idea of the bandwidth limit that you are getting from your ISP for regular use. If you see that your Netflix is taking forever to buffer your requested content, then quickly run a Netflix FAST speed test. Compare the results to the speed you get on your Speed test. The control speed test will let you know if you are getting lesser speed. Thereby, making it certain that your ISP is throttling your connections to Netflix. 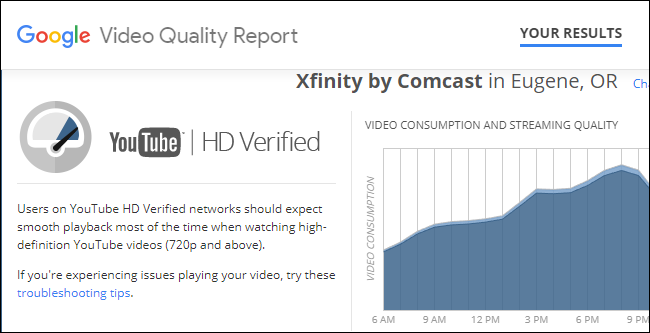 When you are having trouble with YouTube, you should check the Google Video Quality report. This will help you determine the quality of your connection with YouTube’s servers. 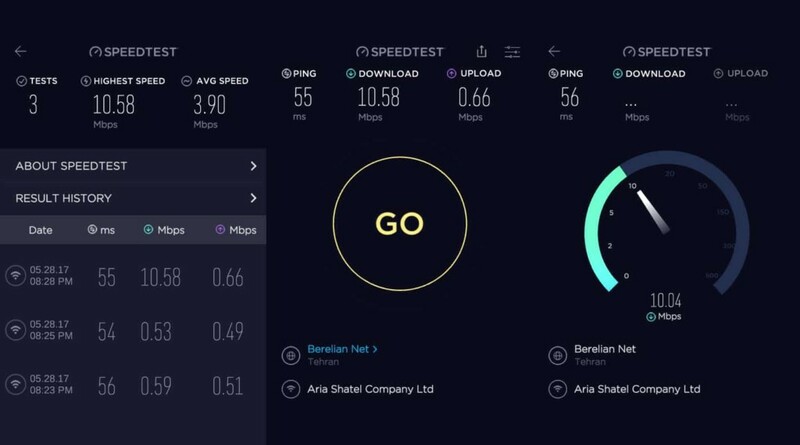 If you observe that your Internet connection is fast whereas your connection quality to YouTube is lacking in performance. Then it is most probable that ISP throttling is being done to your connections with YouTube. The Internet Health Test by Battle for the Net checks whether there is a problem at interconnection points of your Internet connection. These points are easy targets of ISP throttling. 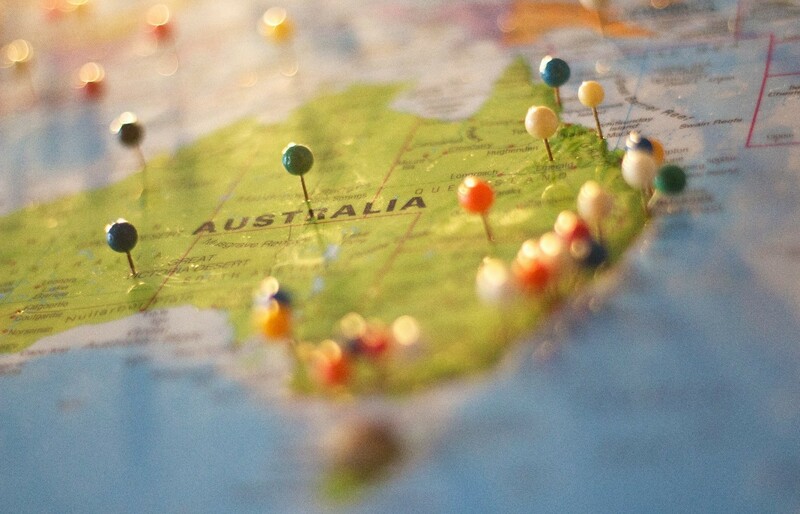 This test will check different routes and pathways to track down the reason for reduced performance at various interconnection points. Therefore, if you observe a huge difference in speeds between consecutive tests then it is clear that you are the target of ISP throttling. 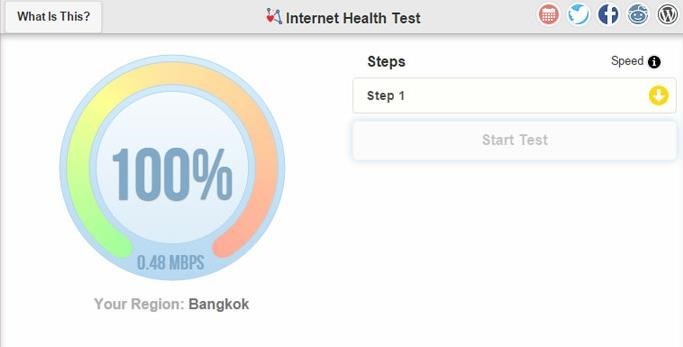 The Internet Health Test tool will perform different speed tests across different networks. If you see that all the speed tests are coming out good, then your issue is not related to your ISP. However, even after running all the above tests there is no proof of ISP throttling then you may have to upgrade your Internet plan. The upgraded Internet plan will provide you with more bandwidth limit so that you can carry out your browsing activities without being troubled. For doing so, contact your Internet service provider. How Should I Fix ISP Throttling? If you are the target of ISP throttling then, unfortunately, there is not much that you can do. However, you can try switching ISPs and find a better one. What else you can do is get yourself a more expensive plan with higher bandwidth limit, thereby, carrying out your browsing activities without facing slow Internet issues. Last but not least, opt for a reliable Virtual Private Network – VPN. VPNs ensure your anonymity on the web thus they protect your privacy. A VPN masks your browsing activities and helps you in determining if you are the victim of ISP throttling. By running the aforementioned speed tests you can find out if you are the prey for ISP throttling. However, if you want to raise your voice for a more open Internet then submit your request via FCC comment.